A hardware radio switch has security benefits to it in that when it is off, you know for a fact that nothing is connected to your laptop wirelessly. The radio switch usually turns off all wireless communication, including Bluetooth and 3G. I have heard that this is a requirement in certain military environments, but I have not seen any evidence that this drove the development of the feature on any laptops. 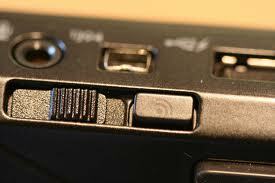 The physical button is not just to disable the wifi, but it should actually power off the device hardware. When you disable wifi in your settings, the device is still powered up and using some power. It may not be a lot of power, but when you are commuting, every little bit helps. If you really want to save maximum battery life, then you want it to be consuming zero power. Contrary to a commonly held belief, it is not for travel on aircraft. The FAA regulations apply only during takeoff and landing (and even those are currently being reconsidered). If this were a requirement for safety, every device allowed on an aircraft would have to have a hardware button - including mobile phones, tablets, and ebook readers. Additionally, the rules for takeoff and landing specify that the devices themselves have to be turned off, not that the transmitters have to be turned off. So a switch would not comply with the current FAA rules on takeoff and landing. Update: An FAA safety panel have just ruled that Wi-Fi is safe to use on airplanes, and the changes will likely be adopted soon. This just goes to show that it has nothing to do with safety, and never did. Source: I am an electronic engineer with specialist courses in communication and wireless transmission. I have also taken a graduate level course in safety and security specifically in air transportation. Besides the arguments others have listed (Aircraft requirements, power saving) we should not forget about security. Before the tablet and smartphone era you had a great control over your computer in an emergency: if you pulled the UTP cable, you could guarantee that the computer is isolated from the network. If you pulled the power cord, you could guarantee that your computer is turned off. With all these physical controls removed we arrive to a situation, where in case of a malware or hacking attack you have no option to stop your device from being remote controlled by the attacker, besides removing the battery (or smashing your device apart with a hammer if the battery is not removable). You might personally like thin clients and you might personally trust your software 100%, but there are people who don't, so why remove this option from them? These switches allow you to disable wireless transmitters without first turning them on in the middle of a flight, when their use may be prohibited. I'm not saying that any rules regarding the use of wireless devices during flight are justified, only that they exist. I'm not saying that any specific organization (such as the FAA) has made rules regarding the use of wireless devices during flight, only that some organizations (perhaps individual airlines) have put them in place and that they affect a significant number of air travelers. I do not mean to suggest that this use case is the original or only reason for these switches, only that it is a valid use case. Sometimes you need to turn off your internet connection as fast as possible. For example, you download a software, then double click on it, and then you realize that it is not the genuine .exe file but it is a malicious file. In this situation, you may want to turn of your connection as fast as possible, and it may take a very long time to turn off it via software. For example, you may have left the web tool of your social network or a torrent program open before hibernating your laptop; and they are prohibited in your workplace. In this situation, just turning off the Wi-Fi is a lot easier than removing the battery. If you are almost always using Ethernet connection, you may want to completely turn off Wi-Fi. I think it is always good to have a lot of control on your system. Who wants not to have power and volume adjust buttons on his load speaker because he can already control them via OS? Or not to have brightness control on monitor, because he can change brightness through some installed software? When I'm in a LAN party, I want to force my computer to use the Ethernet cable networking me with other players to get the most out of my network and prevent some random app from interrupting play. I don't trust public networks, so when I'm not in a Wi-Fi zone I trust, I turn my Internet off. Wifi takes power. If you have limited battery life, being able to physically power-down the wifi card might buy you back a little power. Otherwise, the OS might continually poll the airwaves looking for a signal and draining the battery a little faster. Anyone who needs to work in an area where you're not allowed to transmit/receive RF needs one. Part of the building where I work has those restrictions. Phones/tablets aren't allowed inside that part of the building because (among other unrelated reasons) there's no way to visually check if if the radios are disabled while the devices are powered off/in standby/etc. The wifi switch on the side on the side of my laptop is a simple and idiot resistant method of doing so, although if they could go back to the more foolproof setup of no built in wifi and the use of express card/usb dongles to add it in the way they did a decade ago I suspect they would do so. For me it has worked several times to re-initiate Wifi. Remember that most laptops use third party components, have dozens of configurations, which create dependencies. The status bar icon sometimes is not reliable, as it depends on the actual system state if it will work or not. Hardware switches turn off the device power, so it is way better for resetting. Just not to reboot every time when wifi connectivity fails. I think your target audience influences the importance of a switch like this. A user that is not constantly in wifi might be depend on a switch like this to deter system tray notices about "no network". In that case, a physical guarantee of no alerts or interruptions might be valuable. As a "thing", the dedicated wifi off-switch seems to be on it's way out. Smartphones don't have them, and the PS Vita ditched the wi-fi button (though notably the 3DS has a wifi button now). To me the PSP was a great case study in why these things were annoying. 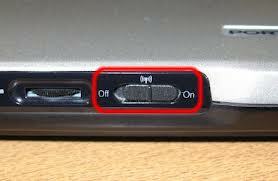 I would constantly have to turn on the Wi Fi switch; it was slightly easier to turn off than on, so the switch often ended up resting in the off position. The OS spit out an ugly error message and required you to move a physical switch because it was hardware, not software, disabling the wifi device. The PS Vita has a much more pleasant Wi Fi set up; you can manually turn it off via software, and it's automatically disabled in games that don't support it (for battery reasons I suppose). The nice thing about software controlled Wi Fi is that if the setting is off and the user tries to perform an action that requires Wi Fi, Wi Fi can be re-enabled inside the GUI. No groping for a button, no taking your hands off the typical controls, no "okay...where the hell is the Wi Fi button". The software solution comes up Just In Time and requires no dedicated button in a world where external controls are expected to be few and precious. Some have mentioned that you can power off the device hardware...but most devices can do that anyway. Smart phones already do this, though I'm not sure if Windows or Mac do it by default. Laptops can have a number of operating systems installed on them. If the operating system itself doesn't have a simple way of enabling / disabling wifi, that switch may be the only option. Also, the switch is the wifi equivalent of being able to yank your ethernet cable out at a moments notice. If you have the need for the latter you will have the need for the former. The most plausible hypothesis is that the switch is needed on laptops for historic reasons, and also because laptops are flexible and run multiple operating systems. Let us take it for granted that a device needs a switch for disabling the Wi-Fi transmitter, whether that switch be soft or hard. Historic reasons for the hardware switch: Windows came before Wi-Fi, and Wi-Fi has been clumsily integrated into Windows. By contrast, modern mobile devices were designed with the assumption that the hardware has Wi-Fi and that Wi-Fi is very important to the user. The software switch is easy to find. For instance on Android devices, it is on the notification bar of the home screen. Multiple operating systems: users can load alternative operating systems onto laptops, with different Wi-Fi management interfaces. 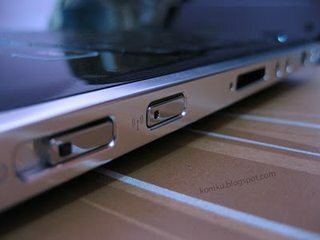 Bottom line: the easiest, quickest way to disable Wi-Fi on a random laptop is in fact to use that switch, rather than to navigate through the obtuse user interface of whatever version of Windows it is running (possibly with vendor-specific Wi-Fi crapware), or that of some unfamiliar operating system that the owner has installed on the system. Analogy: Why do monitors have an off button? Can't you just put the OS to sleep, and the monitor will shut down by itself? Traditionally, OS's don't sleep and monitors have power buttons, and different versions of OS's have different obtuse ways to be put to sleep. Sometimes automatic sleep is unreliable, too. Ironically, this feature is missing from laptops! There have been times I wanted a switch to turn off the monitor of a laptop! Switches are good, damn it. Anything in a system that can happen accidentally because of poor design, need to be changed. Imagine the confusion when "the internet" suddenly is disconnected, and you have no clue what happened. There is a real need for making buttons that will be switched on/off intentially only, and not by accident. Sometimes one wonders if manufacturers overlooked this problem or just didn't take care of insight from customer support. Fewer and fewer people I'd say, since the ones mention before like airplanes, would most likely decrease in number. There are more and more airplanes having WiFi on board. Safety? Who knows when your being hacked? Probably only when you want to disconnect yourself from the online world - not receiving e-mails or facebook notifications since your watching a nice movie. Intentially - not accidental! Even if there was no usability relevance in it, the external on/off WiFi button falls in the realm of psychological comfort and still contributes to improving the user experience. No matter how abstract technology gets, people will always be tactile beings. We need to touch and feel the surroundings, so that they become real in our mind. Especially with regard to security and other vital aspects, we need to make sure that we have control. Control is when you touch and push, not when you see things on a screen. It's not ignorance, it's just a cognitive aspect. Seeing things on a screen might be enough for a certain segment of HCI professionals, but for most of the people out there, pressing that button is what it takes to feel completely safe. But I also find it relevant in terms of usability, since some people might not understand the abstract WiFi function, even if it's just a button on the screen, as they understand a real button. When something goes wrong with your internet connection, you know that the external button is out there, so, once again, that leads to a bit more psychological comfort. It's like you have one more possibility of addressing the problem. It is also because of the 'mobile devices' like laptops that were being used since so long time. They had always got a Wi-Fi button somewhere near the keyboard pad that could be activated by pressing while the laptop is ON and working. Probably, the use of external button was one more way of finding a relationship with the old laptop users who had shifted to smartphone use and feel better to have an external WiFi button to be tapped and put it on while travelling and in congested places where they might not care to go to a specific widget or settings to get the WiFi Activated by a press of a finger on the screen. New users might find the button intimidating. In Broad daylight and in a place buzzing with activities, it becomes difficult often to read the LED screen. Hence it might be better to have an external button which is a shortcut to putting Wifi on/off. May be people can then move to a place where they can browse freely. Not the answer you're looking for? Browse other questions tagged buttons controls physical settings or ask your own question. What does a user expect tapping album artwork to do?